It’s a human nature to want to stay close to who we love and be able to talk to them, touch them and hug them whenever we want. But if you are in a long distance relationship, all these things are taken away from you and your partner and that hurts. Long distance relationship is not for everyone. It’s a romance that comes with loneliness, temptations, struggles and doubts about whether it’s all worth it. To survive an LDR, the least thing you want is to stress yourself out by pretending everything is ok ( because it is not, we all know that). 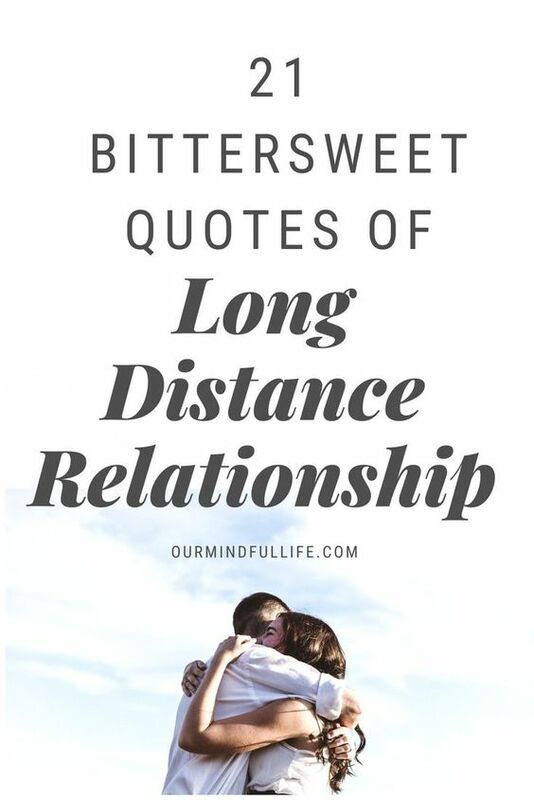 We have gathered 21 quotes and texts coming from LDR couples so you know that you are not the only one. Also, they might help you to discover the beauty that lies in the days of being apart. 1. I wish you could see the stupid smiles I get when we’re texting. 2. I understand what I’m waiting for, so I don’t mind how long I will be waiting. 4. That, “You hang up first,” No, YOU hang up first” crap is really only funny the first two or three hundred times. 5. Being alone for so long that sometimes I wonder if I really miss you or am I just missing the one I am when I’m with you. 6. I was a night owl before you. Now I get up at 5 am just to call before you go to bed. 7. I don’t want to spend the rest of my life texting, emailing snapchatting and messaging you on Facebook. I want to hold you, touch you and hear you whisper my name in the same space and the same time zone. 8. They think I’m crazy because I have been reading about teleporting. 9. I like the sound of your voice even if it’s from a thousand miles away. It keeps me going. 10. I might not be there with you. But I’m always there for you. 11. I am jealous of people who get to see you every day. 13. I hate the stars because I look at the same ones as you do, without you. 14. I never know “Good nights” and “Good mornings” could give me heart-attacks. 17. Waiting does not bother me, nor does the distance that is cropping up between us. All I want is a true commitment and to know that your heart will never change. 20. The few hours I spend with you are worth the thousand hours I spend without you. If any of these words resonates with you, you are one of the tough souls and your love will survive beyond all the miles. Share this post with your friends or SO that are experiencing LDR and need a dose of motivation. It’s even harder when you pair an ldr with having a mental illness. Namely, depression and anxiety. You know the facts but your heart and head are against you.